Great Show for Holguin family! 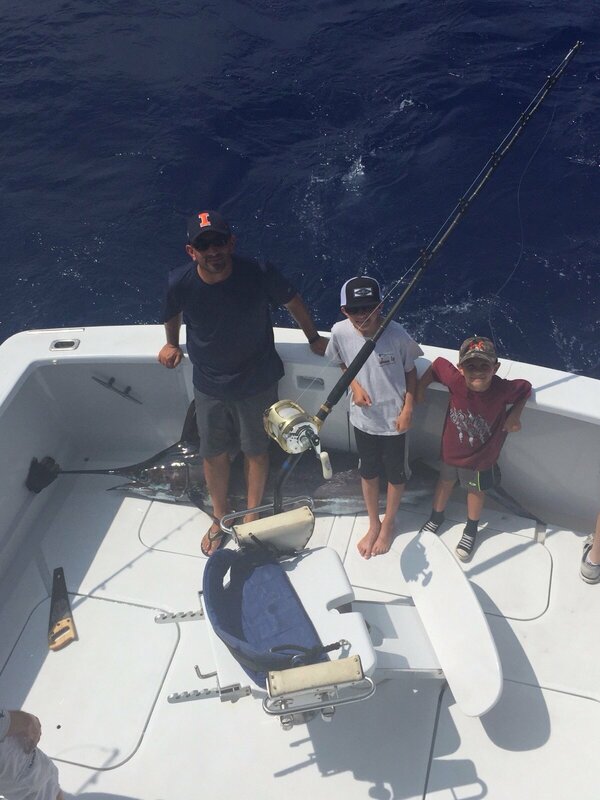 The Holguin family chartered the Hooked Up for a 3/4 day. They caught a Blue Marlin and Mahi Mahi. 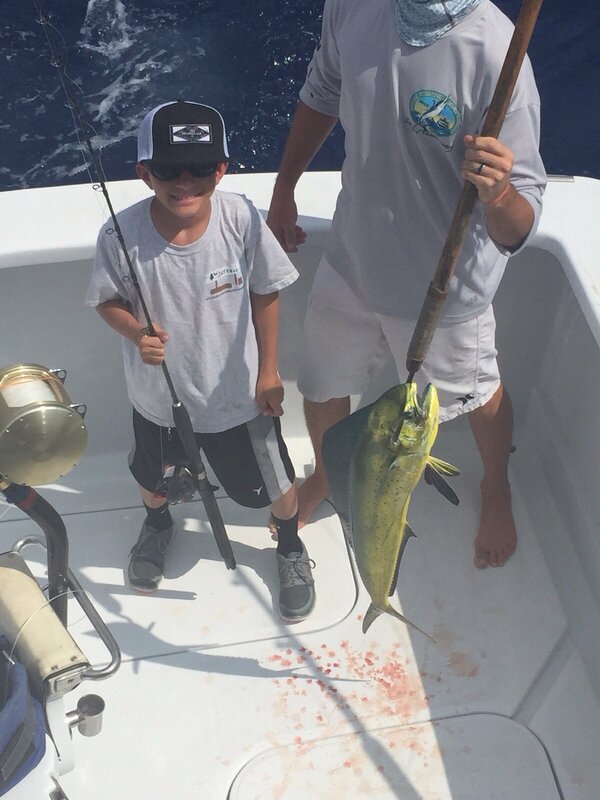 While the young boy was reeling in his half pound tuna the Marlin came in and tried snatching it away from him. Luckily they got the tuna in the boat before the Marlin ate it.  Jim and Jesse was able to switch the Marlin to a bait with heavier rod and reel set up and was able to catch the Blue.